That may not be exactly what’s going on in this lawsuit the Atlanta Braves filed in federal court yesterday, which, in reality, probably is little more than a routine filing intended to protect intellectual property rights, but moving your stadium to the middle of an interstate highway interchange that’s outside the city limits and then suing a taxi driver who’s only trying to help fans get there– I’m assuming only the best intentions on the part of Hector Tirado– is almost as bad a public-relations move as telling fans they should just ride their bikes to the game. 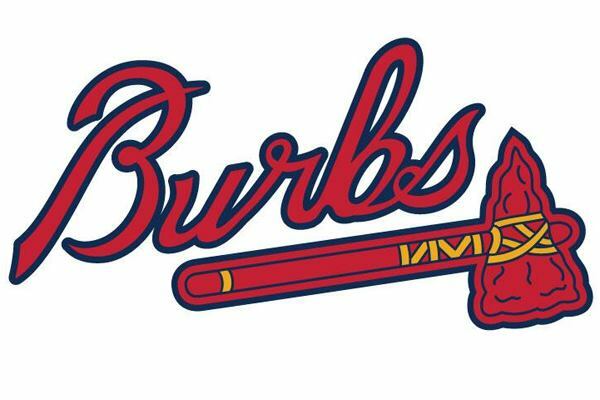 From Barves to Burbs: What’s happening to baseball in Atlanta? The Boston Red Sox had the nerve to win the World Series against the Los Angeles Dodgers last night before I was ready to be done watching baseball for the year. I didn’t necessarily want to keep watching these two teams play each other, since Boston seemed to hold a fairly convincing edge over L.A., but that pairing was the only option here at the end. The primary purpose of this post is to record in this digital log book the above image of an advertisement for a watch party for game one of the 1907 World Series (excuse me, World’s Championship) between the Detroit Tigers and Chicago Cubs. I like the idea that, long before teams were inviting fans into their otherwise-empty arenas to watch road championship games together, fans were gathering to watch an intern tack scribbled game updates on a “giant bulletin board” outside the newspaper office. There being no television at that time, and radio broadcasts of games still being more than a decade away, this proto-ESPN Gamecast offering was your best option if you didn’t want to wait until the next day to find out what happened. Thankfully, October 8, 1907, was a fairly warm and dry day in Detroit (high 68, low 41, no recorded precipitation), but one imagines this was no guarantee. Speaking of a lack of guarantees, there was no guarantee that Steve Pearce even was going to play in the World Series, much less be named its most valuable player. He started the season as a member of the Toronto Blue Jays, joining the Red Sox by way of a June 28 trade. He wasn’t a regular starter for Boston, and the thirty-five-year-old likely would not even have had the opportunity for significant postseason playing time but for an injury to Mitch Moreland. And here begins the MLB offseason. This week, watch for Clayton Kershaw’s Wednesday deadline to decide whether to opt out of the last two years of his contract (in which the Dodgers would owe him roughly $35 million per year), as well as Saturday’s deadline for teams to make qualifying offers to free agents, a crop of players that includes Pearce, as well as Manny Machado, Bryce Harper, Josh Donaldson, Dallas Keuchel, Andrew Miller, Andrew McCutchen, Craig Kimbrel, Yasmani Grandal, Nathan Eovaldi, Cody Allen, Jose Iglesias, Adam Jones, Adrian Beltre, and many others. The development agreement requires the parties to resolve disputes through “private mediation,” and the news report indicates that they will proceed in that direction. Cobb County taxpayers already paid $392 million to the Braves for SunTrust Park, plus more for necessary transportation improvements, and they are sending additional millions on ongoing basis for maintenance and other public services, such as police officers to assist with traffic management. 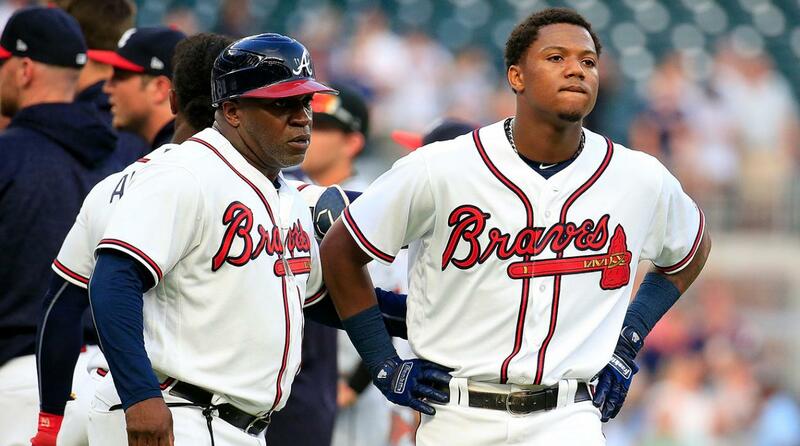 Atlanta Braves rookie outfielder Ronald Acuña, Jr. has been on a tear. Entering last night’s game against the floundering Fish, he had just become the youngest player (since at least 1920) to homer in four straight games, joining Miguel Cabrera as the only two twenty-year-olds to accomplish the feat. He leads all rookies in slugging percentage. He’s amazing, and he’s a big part of the reason why the Braves have reclaimed first place in the NL East. The Miami Marlins stink. Their new ownership group, led by Derek Jeter, has spent its inaugural year at the helm casting off virtually every remotely valuable member of the team, which has a .390 winning percentage in 2018 and is unlikely to compete in any respect for years to come. I didn’t call the Marlins franchise a tax shelter, but somebody else might. The Marlins pitching staff isn’t really getting anybody out, as a -180 run differential somewhat suggests. Only the Orioles and Blue Jays have been worse in that regard, and they spend a lot of time in the AL East getting beaten up by the Red Sox and Yankees juggernauts. If you care about ERA, the Marlins have the worst such mark (4.85) in the National League. Acuña has enjoyed an extreme degree of success, even by his standards, against Miami: .339/.433/.714 (201 wRC+). They just can’t get him out, at least as the rules of baseball define that term, especially lately. In the first three games of the four-game series with the Marlins that ended last night, Acuña reached base ten times in fifteen plate appearances, which included four home runs and a double. I’ve watched Jose Ureña’s first pitch from last night, which came in at about ninety-seven miles per hour, as well as his subsequent reaction to his pitched ball hitting Acuña on the arm, about a dozen times. There is no doubt in my mind that Ureña took the mound last night with the intent to hit Acuña with his first pitch and did what he intended to do. The umpiring crew apparently agreed and ejected Ureña after that first pitch. For those unfamiliar with Ureña, a collection of humans that, prior to roughly twenty-four hours ago included very nearly the entirety of the human species, he is a twenty-three-year-old pitcher who has spent all four years of his major-league career with the Marlins, mostly as a starter. Among regular starters, Ureña has been one of the harder throwers in 2018, but there’s little else remarkable about him. The current season has been the best of his career so far (1.7 WARP to date), and there’s a not-unreasonable argument that he ought to be done for the season. This evening, MLB Commissioner Rob Manfred decided to suspend Ureña for six games and fine him an undisclosed amount of money. Suspensions for this sort of thing often are of the five-game variety. For starting pitchers, five-game suspensions really are one-game suspensions, because most starting pitchers only pitch once every five games. It’s a bit of a charade by the Commissioner’s office. Manfred has not released an explanation of his somewhat unusual decision to push Ureña’s suspension to six games, but it’s reasonable to assume that he wanted to appear tougher to avoid the usual critiques of the standard five-game suspension. It’s readily obvious, of course, that, for starting pitchers, a six-game suspension suffers from almost precisely the same practical defect that attends a five-game suspension. Indeed, as reporters immediately noted, it’s a very real possibility that Ureña won’t even miss his next start.